When you play the Heritage Golf Club in Pawleys Island, South Carolina it is like taking a step back in time to the Old South. This Myrtle Beach golf course is built on the site of the Midway and True Blue rice plantations. The centuries old oak trees, along with giant magnolias, fresh water lakes and marshlands all add to the distinctive southern charm and heritage. Renowned golf course architect, Dan Maples used the natural terrain to wind the wide fairways through the abandoned rice fields and the beautifully landscaped surroundings. The large undulating Champions Bermuda greens are surrounded by crepe myrtles, camellias and azaleas. The par 71 golf course has garnered many awards including “Top 50 Public Golf Courses you can Play” by Golf Digest. 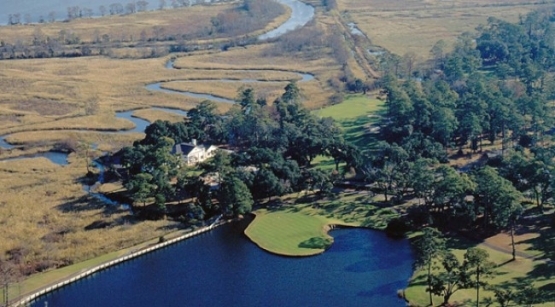 Consider adding the Heritage Golf Club to you next Myrtle Beach golf package. Myrtle Beach golf packages can offer you the best in Myrtle Beach golf savings and can be designed to include any of the very best Myrtle Beach golf courses and Myrtle Beach accommodations. When visiting South Carolina on your next golf vacation, be sure to check out the world class Myrtle Beach entertainment and attractions. Book your Myrtle Beach golf package today!